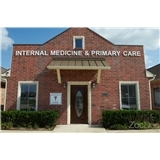 Houston Internal Medicine Associates, P.A. (Katy) - Book Appointment Online! Houston Internal Medicine Associates, P.A. Our mission is to provide high quality, compassionate, patient-centered medical care. They couldn’t use the forms I had filled out online, so I had to fill them out again. Then there was confusion about how many prescriptions there were supposed to be and when they would be sent to the pharmacy. I’m willing to give the office another try—Dr. Reddy was great—but hopefully the next appointment will be much smoother.